My Day Feeds Apple Express is dehydrated real apple pieces which just need to be soaked in water for 20 minutes to use. It helps to tempt fussy feeders and is a great source of natural energy. There are no artificial colours or flavours added to this product. Perfect for use with hoses but also ideal for alpacas or pets such as rabbits and guinea pigs. 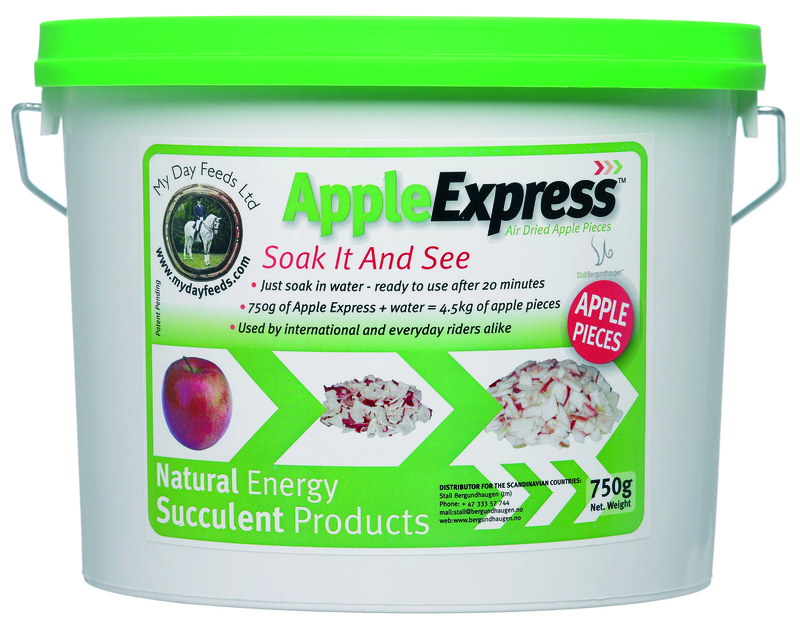 When water is added to 750g (one tub) of Apple Express, it will become approximately 4.5kg of rehydrated Apple. Apple (99.9+%), Citric Acid (Vitamin C). There are currently no questions for My Day Feeds Apple Express - be the first to ask one!